The British craft beer scene flourished after a lower tax rate was introduced for small brewers. Now, with interest in craft spirits soaring, why isn’t the UK Government doing the same for distilleries? Tom Bruce-Gardyne laments the lack of support for British whisky and gin producers. It was possibly the most progressive thing Gordon Brown ever did, though he may dispute that. One imagines Labour’s longest-serving Chancellor, who eventually became UK Prime Minister in 2007, would rather be remembered for his ‘prudence’, for his steering the economy through the financial crisis, and for his commitment to the NHS. I would add his passionate, last-minute rallying call to Scots to reject independence in that other referendum. But certainly when it comes to drink, nothing beats the progressive beer duty he introduced in 2002. By slashing the duty in half for anyone brewing less than 5,000 hectolitres (hl) of beer (around 880,000 pints) a year, with tapered tax relief thereafter, up to a maximum of 60,000hl, the Small Brewer’s Relief Scheme helped an entire industry to blossom. Craft breweries have sprung up everywhere, creating jobs, boosting an often fragile rural economy and generally adding to the sum of human happiness. It has unleashed a glorious diversity of craft beers, pushing back the tide of insipid fizz, otherwise known as big brand lager. What’s not to like? And by extension – why not apply the same enlightened logic to spirits? Indeed, the case for introducing a progressive spirits duty in the UK is even more compelling. The barriers to entry for a would-be distiller are considerably greater than they are for a new brewer, especially for anyone making Scotch. 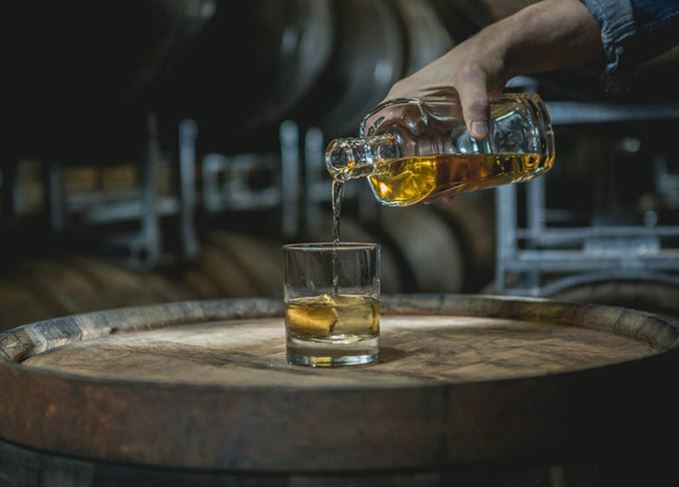 Having invested in a pair of pot stills, mash tuns, condensers and all the other paraphernalia of distilling, there are the casks and the three-year wait until you can call your spirit whisky. Adam Hardie, a partner at accountant Johnston Carmichael, which specialises in helping booze trade start-ups with funding, reckons a distillery costs 10 times a brewery of the same size. Then, having survived the lean years with money going out and nothing coming in, you have to launch yourself on the market with none of the economies of scale enjoyed by much larger rivals. So how would it work? Well, the Chancellor could halve duty on spirits where annual production is below 100,000 litres of pure alcohol (lpa), the equivalent of just under 30,000 cases of Scotch at 40% abv. The duty would then gradually increase in line with production until tax relief would disappear altogether once you reached, say, 1m lpa. But it would only apply to the actual distiller, and not to someone peddling a folksy, homespun gin full of alcohol bought in from a mega-distillery. This, in turn, would add some definition to the notoriously fuzzy concept of craft spirits. In determining the amount of tax relief and where it starts to taper off, there are undoubtedly lessons to learn from progressive beer duty about unforeseen consequences. Some say the 5,000hl watershed stunts the ability of craft brewers to grow, and keeps them in arrested adolescence. A better system could be devised for spirits, depending on the generosity of the government and the wider concerns of the industry, but these are details to be thrashed out later. What matters now is to establish the principle. Of course, it would be wonderful to reduce excise duty across the board, and enjoy a dram without that pervasive, strangely metallic taste of tax that accounts for 80% of the shelf price of a standard blend in the UK. Obviously the Scotch Whisky Association (SWA) lobbies vigorously for a tax break every year, but it has only happened four times in the last century. Right now it will be trying to persuade the present Chancellor to show mercy in next month’s Budget, but Philip Hammond is probably a little distracted, what with Brexit. Gordon Brown never cut the overall tax in any Budget, but he did eventually listen to the Society of Independent Brewers, which had lobbied for progressive duty for 20 years. Clearly the arguments about encouraging entrepreneurs, creating jobs and boosting the rural economy resonated with him. If and when we finally settle our divorce from Europe (wake me up when it’s over), I believe the Treasury would respond sympathetically to the case for craft distillers to be treated the same way. Perhaps the greatest impediment to change will be the big brand owners, who will seek to block any subsidised competition from the small fry. In theory, it seems fairer to treat everyone the same regardless of size, so that the first 100,000lpa distilled would qualify whether it was produced by Diageo’s Roseisle or Brewdog’s Lone Wolf distillery. In practice, the taxman would see straight through this as a simple tax cut on alcohol, for which there is no political will at present, especially with the country’s powerful public health lobby. There is some political will north of the border. When the idea for progressive spirits duty was first proposed in 2015, MSP Fergus Ewing, Cabinet Secretary for the Rural Economy at Holyrood, tweeted his support. It’s not a devolved issue, however, so the lobbying will have to be directed at Westminster, where it could offer some welcome light relief to the mind-numbing complexities of Brexit. The total tax paid on an average bottle of Scotch in the UK is set to rise to £10.20.